AC "No not in the slightest it never entered my head. R Morton of the Royal Military Academy Sandhurst criticised Clark's use of passages written by Haig to demonstrate Haig's own 'incompetence' in his book The Good Soldier. When he died after radiation therapy for a brain tumour his family said Clark wanted it to be stated that he had "gone to join Tom and the other dogs. Alan Kenneth Mackenzie Clark (13 April 1928 – 5 September 1999) was a British Conservative MP and diarist. 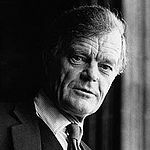 He is particularly remembered for his three-volume diary a candid account of political life under Thatcher and a moving description of the weeks preceding his death when he continued to write until he could no longer focus on the page.